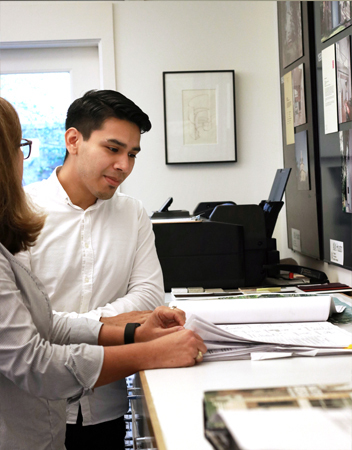 Mikhail earned his Bachelor of Architecture from the Gerald D. Hines College of Architecture & Design at the University of Houston. With a background in small scale projects and landscape design, he enjoys designing and working on unique living spaces. After being chosen as a finalist in the Senior Design exhibition at U.H. Mikhail joined GSMA where he is responsible for construction documents, marketing, and product research. He is also a photographer and enjoys cycling and has participated in the BPMS 150 and other endurance races.